The answer might surprise you. It's not facelifts or laser resurfacing, but a painless, non-invasive lunchtime procedure known as Microdermabrasion. With Microdermabrasion, you can have a treatment and return to work immediately. Microdermabrasion is performed by Dr. Sundaram for patients in Maryland, Virginia, and Washington, DC to create softer, smoother and fresher looking skin. 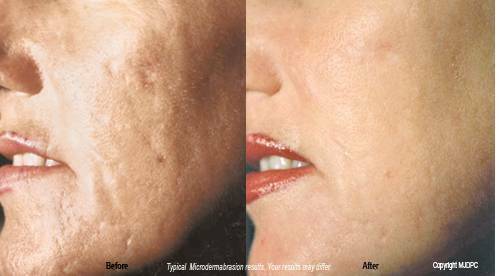 If you are unhappy with age spots, acne scars, stretch marks, fine wrinkles or flaking skin, you might want to consider Microdermabrasion. Microdermabrasion has been used in Europe for years. Now this exciting procedure is the number two non-surgical cosmetic procedure in the United States. It is helping men and women everywhere experience remarkable improvements in skin texture regardless of skin color. 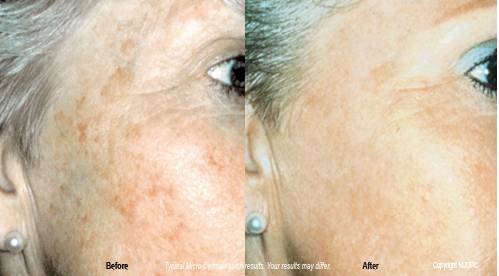 Microdermabrasion treatments combined with our skin care products are a safe, comprehensive approach to skin care. Immediately! After Dr. Sundaram performs your first Microdermabrasion treatment, your skin will have a fresh pink glow. It will look healthier and feel smoother and softer. Your improvement will continue throughout your treatment program.